ORANGE, Calif., Feb. 10 (SEND2PRESS NEWSWIRE) — Greg Schroeder, president of Comergence Compliance Monitoring, a leading provider of third-party originator (TPO) monitoring and due diligence solutions, announces the release of CompEditor™, a comprehensive tool to help Lenders manage their Loan Originator Compensation Agreements as required by Federal Regulation Z: Loan Originator Compensation and Steering. Effective April 1, 2011, Section 226.25 of Federal Regulation Z, subsection (a) General Rule, requires for each transaction subject to the loan originator compensation provision that the creditor maintain records of compensation it provided to the loan originator for the transaction as well as the compensation agreement in effect on the date the interest rate was set for the transaction. The creditor must retain records to evidence compliance with Regulation Z for at least two years after a mortgage transaction is consummated. “The added service that CompEditor provides takes a heavy financial burden off the lenders to create systems on their own when their resources are already heavily taxed,” said Schroeder. Comergence Compliance Monitoring, headquartered in Orange, California, is the mortgage industry’s premier GRC solution for TPO management and compliance monitoring providing a comprehensive alternative to a lender’s in-house management and monitoring resources. Using a variety of best-practice processes, proprietary monitoring technology and hands-on service protocols, Comergence provides customers unparalleled simplicity, security and quality. 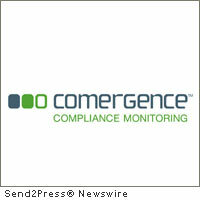 For more information about Comergence Compliance Monitoring, visit www.comergencecompliance.com . Original Keywords: CompEditor, Greg Schroeder, third-party originator TPO monitoring and due diligence solutions, Loan Originator Compensation Agreements, TPO management compliance system Comergence Compliance Monitoring Orange California ORANGE, Calif.
REFERENCES: Banking News, CompEditor, Greg Schroeder, third-party originator TPO monitoring and due diligence solutions, Loan Originator Compensation Agreements, TPO management compliance system Comergence Compliance Monitoring Orange California ORANGE, Calif.